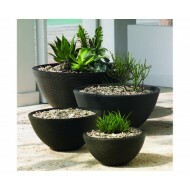 Our Urban Garden Accents Collection is rotationally molded with a commercial grade resin that will provide your clients years of enjoyment. 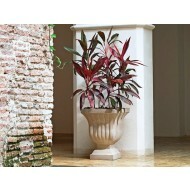 These planters are easy to handle and install due to their light weight. 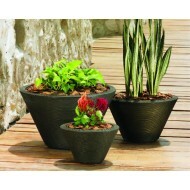 Urban Garden plant containers can be used 365 days a year due to their weather-proof qualities. 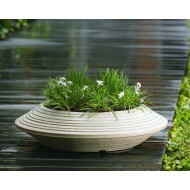 All Urban Garden Accents planters are 100% recyclable. Most large containers feature a double wall construction that provides additional stabillity, enhanced outer appearance, and insultating properties for better thermal protection of plant roots. 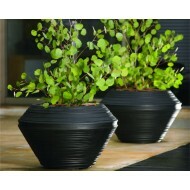 Planning on using these planters outdoors? 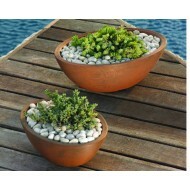 You can easily create drainage holes in Urban Garden pots that don't feature pre-drilled holes. 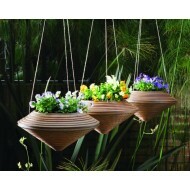 Just don't forget your corresponding plant saucer!